The longest continuous waterfall east of the Mississippi River, Crabtree Falls is a popular Hike in Nelson County, VA that climbs alongside an impressive series of waterfalls, and offers views of the George Washington National Forest. From the parking lot, the trail begins on a wooden bridge to the base of the falls for the .2 miles ending at a viewing platform. Admire the water, then turn right and begin an ascent that covers almost 1000 feet to the top of the falls, ending at mile 1.8. This section is steep, with wooden steps in places and several switchbacks. 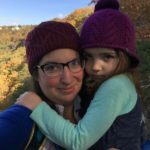 There are viewpoints of the falls along the way to help motivate, but it is a strenuous hike for little legs, and carriers are recommended if you have toddlers or young preschoolers. There are also signs posted everywhere the trail goes near the water, but DO NOT allow children–or adults–to attempt to climb onto the rocks near the falls. There are deaths reported each year due to people slipping on the algae-covered rocks. There are observation decks constructed periodically to get a closer look, and opporunities for water play at the top of the falls on the upper river. At the top of the falls, cross a bridge over the Tye River before it begins its cascade. 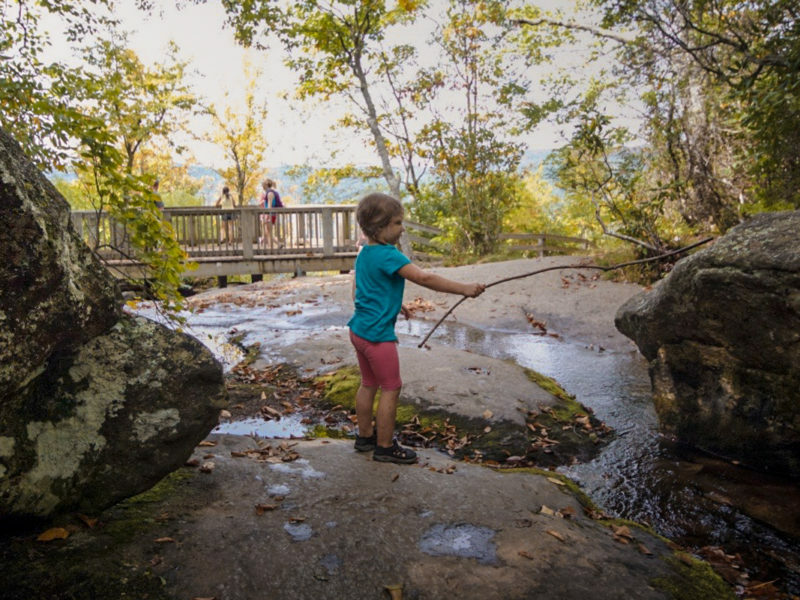 Across the bridge is a modest viewpoint overlooking the mountains, and a good spot to have lunch–or you can rock hop along the creek at the top of the falls and find a lunch spot, and a place for the kids to splash. From here, retrace your steps to the car for a 3.6 mile out-and back. *You have the option of continuing along the trail along the upper falls. Instead of crossing the bridge, continue along the river on a relatively flat, wide, easy trail for another 1.4 miles until the trail ends at a parking lot near the Crabtree Meadows campground. 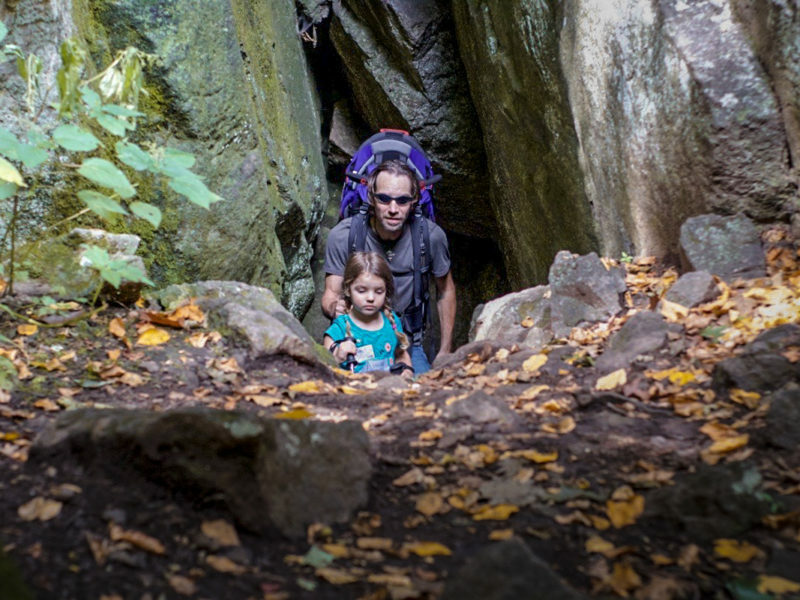 This section does not offer much in the way of features, but is very gentle and a good way for toddlers to stretch their legs and run if they have been confined to a carrier on the trip up the falls. If you have two cars you can leave the second one parked here, or retrace your steps back down for a 6.6 mile total hike. The highlight of this trail is the waterfall. It is not a freefalling waterfall, but a continuous set of falls cascading for almost 1100 feet. 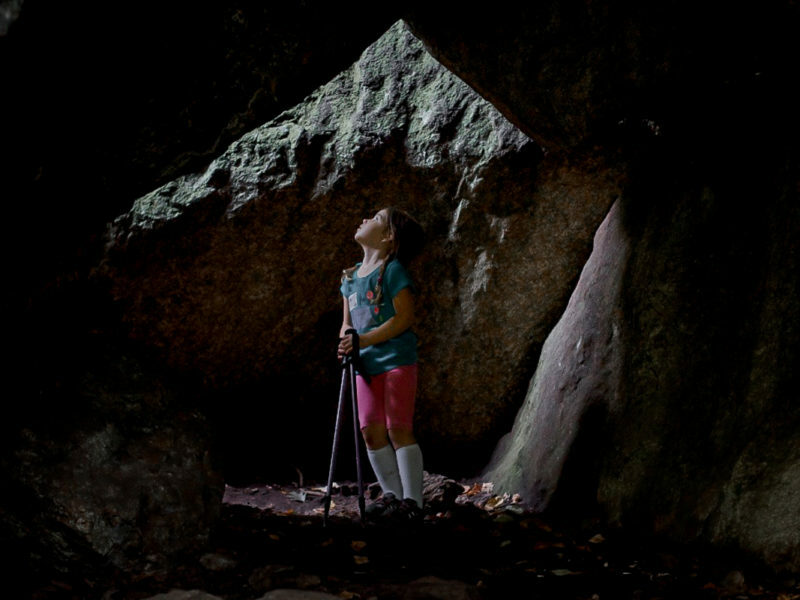 As difficult as the climb up is, there are opportunities for natural play; steps are steep but fun for walkers learning stairs, and there is a fun cave about halfway up. 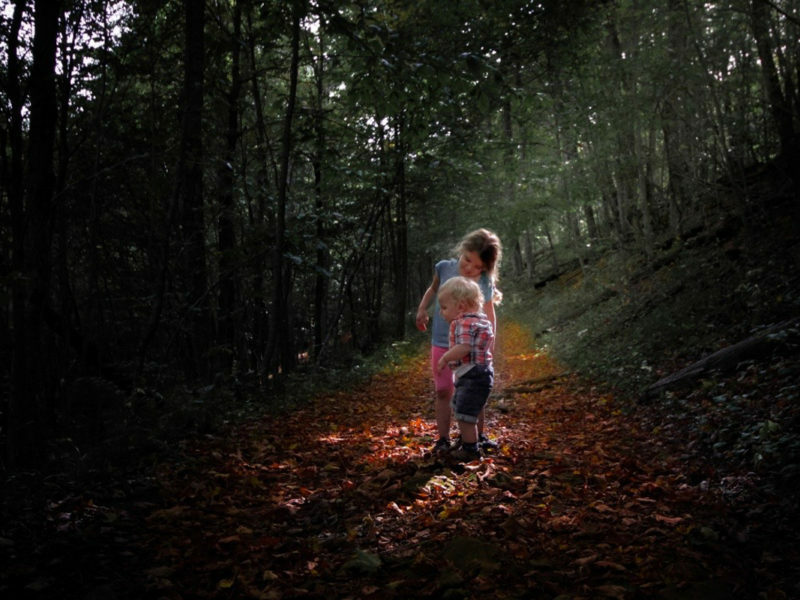 The flowers in springtime are beautiful, and there is plenty of fall color, making for fun scavenger hunt opportunities to help keep kids motivated. There is a $3 parking fee, payable at a kiosk at the parking area. I am the Branch Ambassador for Hike It Baby Chattanooga. 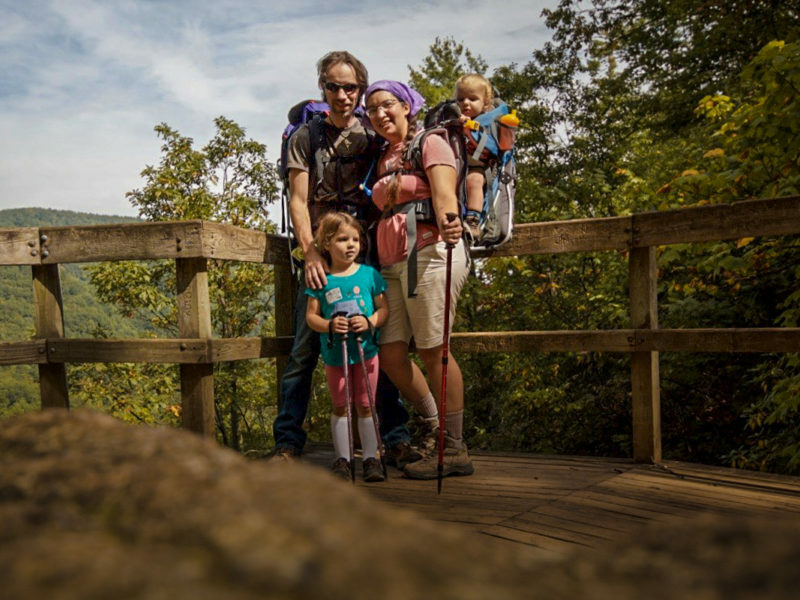 A native of Richmond, VA, I spent most of my adolescence and early adulthood hiking and camping in the Blue Ridge Mountains, and once my children were born started taking them on adventures with me! 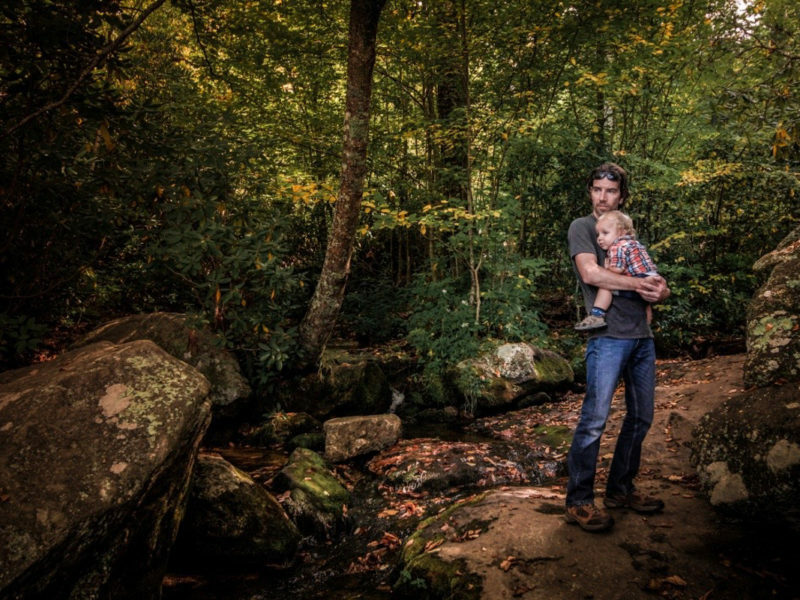 I am a portrait photographer and freelance writer, trying to hike my way through all the trails southeastern Tennessee has to offer.